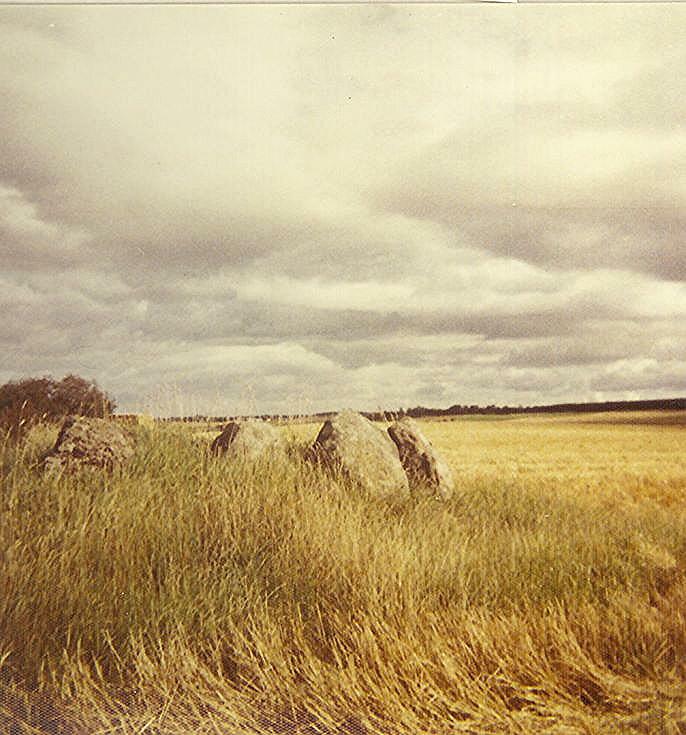 Colour photograph, from the album of Miss E. Mackay BA., and Miss J. Joyce BA., of a chambered tomb ~ Cullerne Ring Cairn, near Inverness. My family name is Cullerne. Is there some relationship between this tomb and Cullerne Gardens at Findhorn?